As a business within the Grass Valley-Nevada City Cultural District, we want you to know about an important event next Thursday April 18 at 5pm at the Rood Center in Nevada City. Like you, we have been keen to understand the real picture behind the claim that the arts create jobs, generate commerce and drive tourism here. Over the last year, we have surveyed over 100 entities engaged in arts programming and over 1000 audience members to gather such data as organizational budgets, attendance, local spending and other key demographic information. 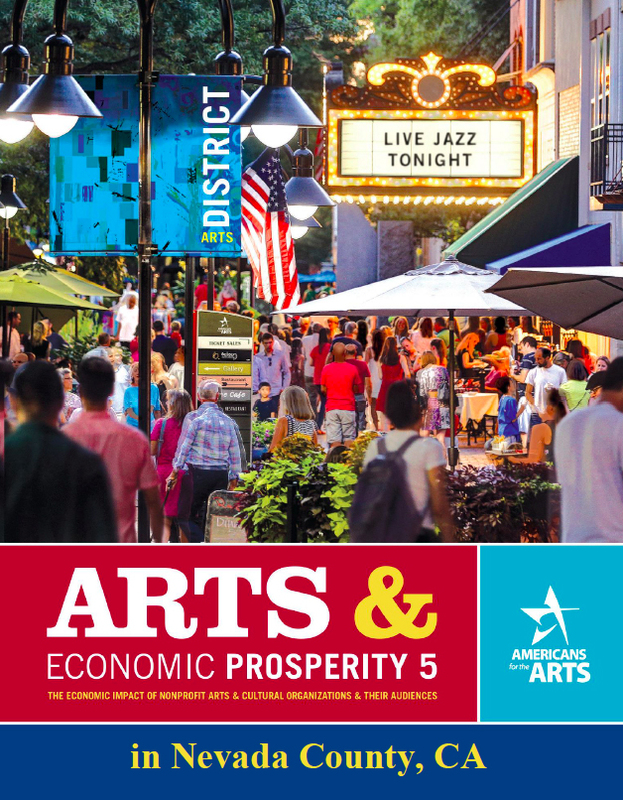 Arts & Economic Prosperity in Nevada County is the result of a partnership between Americans for the Arts and our Grass Valley-Nevada City and Truckee Cultural District partners – including you! Randy Cohen, Vice President of Research and Policy at Americans for the Arts (AFTA) will be presenting key findings, and will share AFTA’s research methodology. Randy is one of the nation’s foremost experts on the economics of our creative industries and their role in community development. Please join us at this free event as our guest.